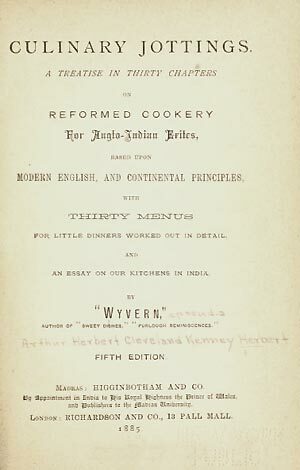 Today I read an entertaining and informative post about the seminal book on the cuisine of British colonial India, Culinary Jottings for Madras by Wyvern (Col. A. Kenney Herbert). 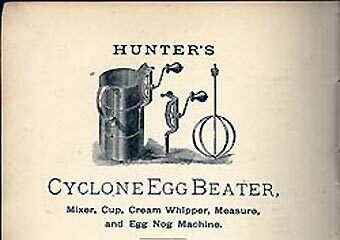 While Col. Kenney-Herbert was stationed in British India he wrote articles for the Madras Atheneum and Daily News under the pen name, “Wyvern.” These articles formed the basis for Culinary Jottings. The colonel believed in surrounding his recipes with historical material, etymological explanations, amusing anecdotes, and, above all, every detail that seemed relevant to him about the choice and purchase of ingredients as well as the preparation of the dish itself. Besides being the best British colonial Indian cookery book, Culinary Jottings represents a budding genre of cookery writing. Since I started selling cook books in 1989, I haven’t been lucky enough to come across a copy of Culinary Jottings except at the main branch of the Los Angeles Public Library. A virtual copy of the fifth edition can be read at the Internet Archive. A reprint with a great introduction is available from Prospect Books. 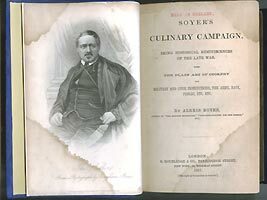 Bookbinders Jack and John Papuchyan restored Soyer’s Culinary Campaign for me. 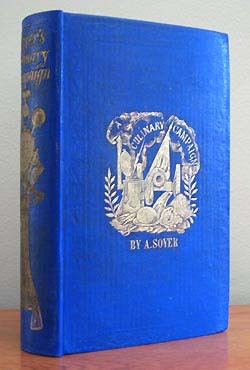 After resewing the page block and inserting it into a new binding, replacing the endpapers with “new” endpapers that are actually old endpapers (contemporary to the book), and covering the new binding with the original cloth, cleaned and restored, the book reads comfortably and looks exceptional. Today, my Fannie Farmer’s Cookbook trading card arrived by post. 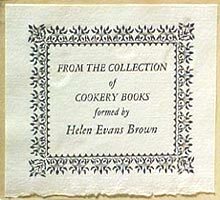 I’m nuts for cookbook-related ephemera like advertising, book reviews, brochures, etc. Over three million copies of Fannie Farmer’s Cookbook have been sold since its first appearance in 1896. In its way, this cookbook revolutionized home cooking. 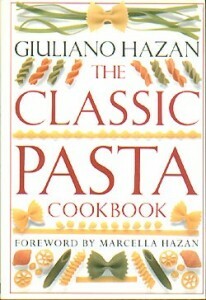 While it avoided difficult, exotic recipes, it boasted a unique feature: it taught cooking as a precise science. Recipes were printed with accurate, standardized measurements, so that each dish would emerge from the kitchen the same every time. 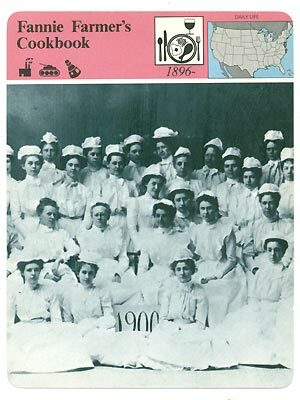 The author, Fannie Merritt Farmer, was born in Boston, Massachusetts, on March 23, 1857. A semi-invalid, she developed an interest in cooking and was sent by her parents to the Boston Cooking School for advanced training. After graduating in 1889, she became an assistant to the director and two years later she was named director. Meanwhile she had begun collecting and compiling recipes and cooking techniques from the school’s files and her own experience. These were published for the first time in 1896 under the title The Boston Cooking School Cook Book. 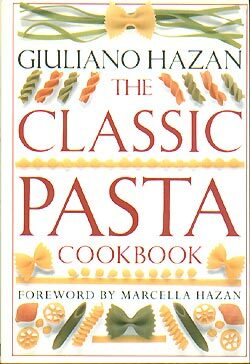 “progress in civilization has been accommpanied by progress in cookery.” That same cookbook, which has been reprinted, revised, and updated continuously since its original publication, still emphasizes accurate measurement.